The hippocampus, a brain region vital for memory and learning, is sensitive to the damage caused by ischemic/hypoxic stroke and is one of the main regions affected by Alzheimer’s disease. The pathological changes that might occur in the hippocampus and its connections, because of cerebral injury in a distant brain region, such as the striatum, have not been examined. 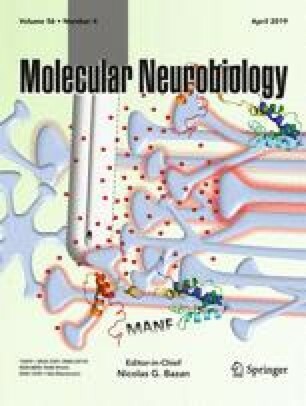 Therefore, in the present study, we evaluated the combined effects of endothelin-1-induced ischemia (ET1) in the striatum and β-amyloid (Aβ) toxicity on hippocampal pathogenesis, dictated by the anatomical and functional intra- and inter-regional hippocampal connections to the striatum. The hippocampal pathogenesis induced by Aβ or ET1 alone was not severe enough to significantly affect the entire circuit of the hippocampal network. However, the combination of the two pathological states (ET1 + Aβ) led to an exacerbated increase in neuroinflammation, deposition of the amyloid precursor protein (APP) fragments with the associated appearance of degenerating cells, and blood-brain-barrier disruption. This was observed mainly in the hippocampal formation (CA2 and CA3 regions), the dentate gyrus as well as distinct regions with synaptic links to the hippocampus such as entorhinal cortex, thalamus, and basal forebrain. In addition, ET1 + Aβ-treated rats also demonstrated protracted loss of AQP4 depolarization, dissolution of β-dystroglycan, and basement membrane laminin with associated IgG and dysferlin leakage. Spatial dynamics of hippocampal injury in ET1 + Aβ rats may provide a valuable model to study new targets for clinical therapeutic applications, specifically when areas remotely connected to hippocampus are damaged. The funding for this project came from Canadian Institutes of Health Research (R1478A47) and a CIHR Vascular Research fellowship.